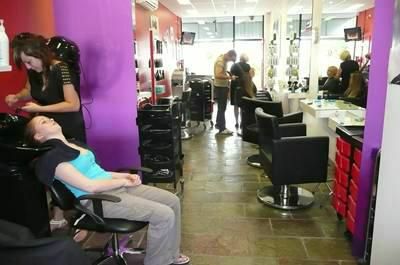 We cater for Men, Women and Children of all ages. 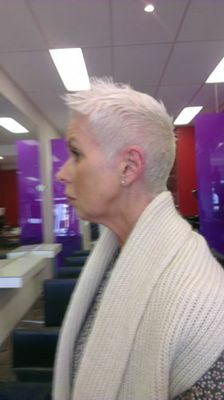 We love to do colour and specialise in fabulous foils and creative colours. 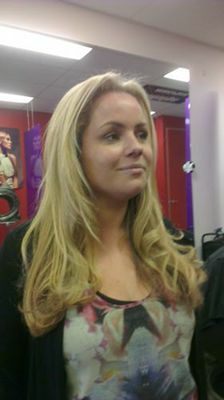 Our quality Cutting and Styling team cater for all hair types whether it’s straight, curly, long or short hair. 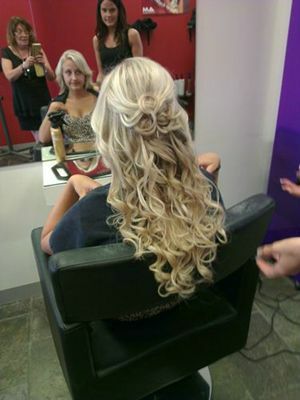 We do formal hair such as wedding parties or school formals and can organise a make up artist to come in to suit your needs. We have a lovely grassy area out the back for your kids to play safely in the sun.. we can even cut their hair too. And our outdoor pergola is a great place to have a coffee and read while your colour develops. We are child friendly! We’ll keep them entertained with our childrens play area which has colouring books, a dvd player (if you want to bring their favourite dvd),and can even indulge them with “baby chinos”! 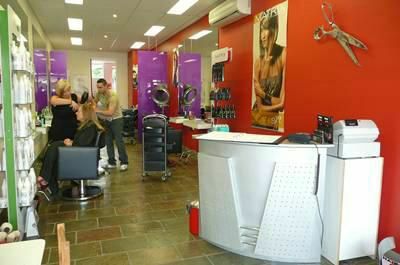 Welcome to our boutique style hair salon where we believe in and practice quality hairdressing for all your hair care needs. We stock a wide range of popular brand hair products just for you. 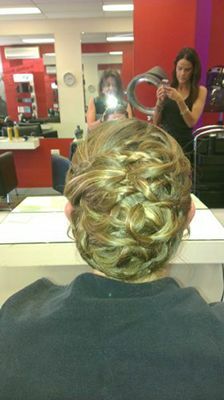 And we offer the best service and friendliness. 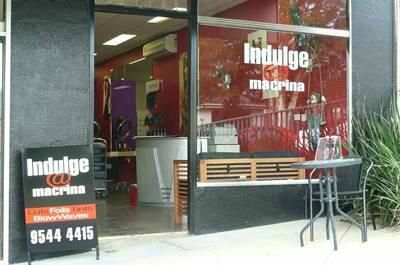 Pop in and say hello. 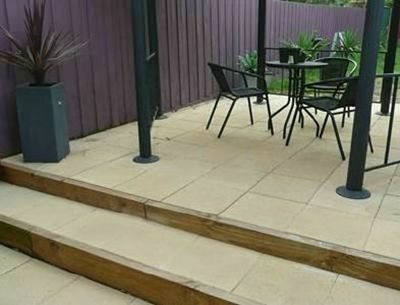 We give a 7 day guarantee on all our work. Pleasing you is what it’s all about. 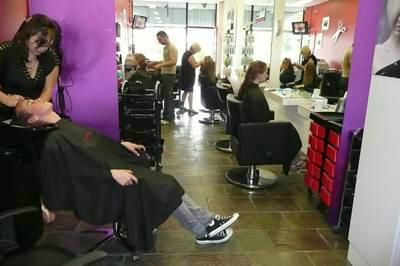 You need to be comfortable and confident when you walk out of our salon, so tell us! Appointments ensure no waiting. Your time is valuable and you shouldn’t have to wait. We want to give you our undivided attention. 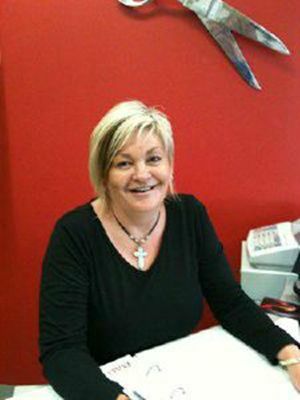 Beverley is a master hair stylist who has a large loyal following of clients. 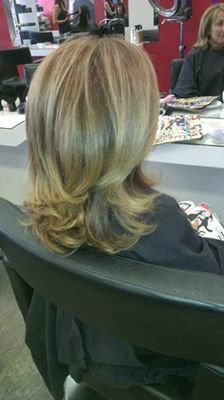 No one foils like her! 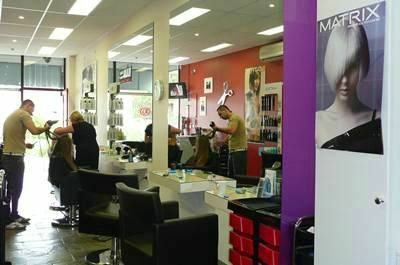 She has vast experience, previously working in some great salons in Melbourne’s South East including a number of Karl Of Switzerland locations. 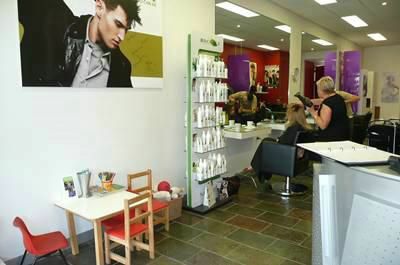 Beverley also managed and operated Top Shape in Hampton. 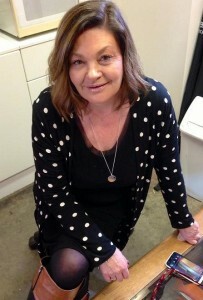 Beverley enjoys mentoring young up-and-coming stylists. 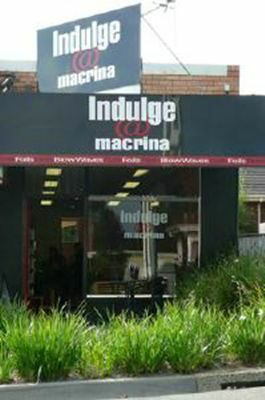 She offers advice and tips teaching them the ‘Indulge’ way. They are dynamic and they understand that fostering relationships is what ensures long term loyalty. Tip: Click the images above to advance slideshow quicker. 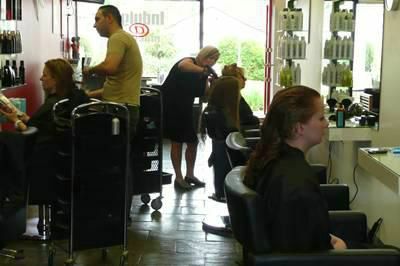 20% OFF YOUR NEXT SERVICE ON MENTION OF THIS WEBSITE!